Even the Hero of Time needs to kick back and relax once in a while. The world of The Legend of Zelda: Breath of the Wild is dynamic, including the likes of perilous rain and thunderstorms that can chip away at weary adventurers. Luckily, Breath of the Wild offers a unique dynamic not always found in other Zelda games: control over time. Though the process doesn't involve an ocarina this time around, Link is able to pass the time and avoid inclement weather by relaxing in front of a campire or sleeping. Read on to learn how to pass a few hours' time quickly in Breath of the Wild. 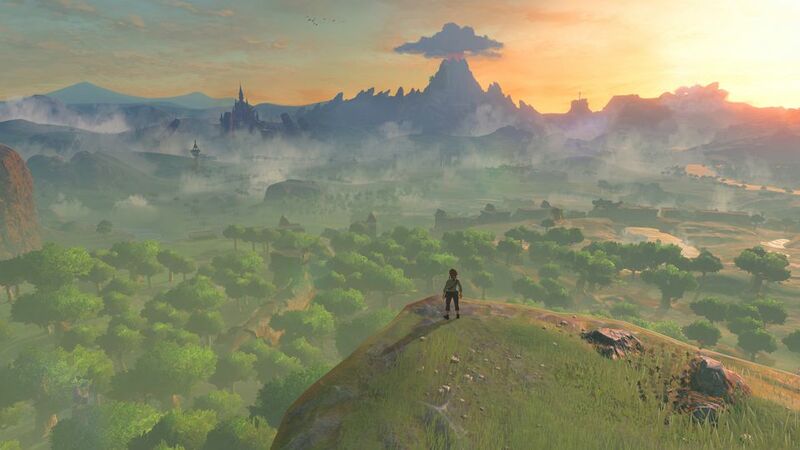 Many of the gameplay options available to players within Breath of the Wild don't do much to explain themselves, and such is the case with passing time. No item or menu option exists; instead, players must come across one of two potential locations that make passing the time possible. The first and most obvious option is to find a bed. Beds offer the most effective way to pass time here in the real world, and the same is true for the world of Breath of the Wild. Players can find beds within nearly all stables and towns, generally being offered for a nominal fee. Once dues have been paid, players can choose when they'd like to wake up, and will rise later feeling fully refreshed and fully healed. Outside of towns and stables, beds are much less common. There are cabins to be found in the wilds of Hyrule, and many contain beds that can be used to rest for a while. That said, they are few and far between, making campfires a much more simple option when passing the time is desired. Campfires are frequently found across Hyrule, and players will more than likely stumble across several randomly in their quests. They're generally located near stables or towns, and offer a quick solution to players who may be otherwise engaged. Out in the wild, though, players might not chance upon a random campfire, and must instead build their own. The first ingredient needed to build a campfire is the most abundant: wood. Players need simply chop down a tree, which will leave a trunk behind in the ground. Chop again, and the log will turn into a stack of wood. As for igniting the wood, Fire Arrows work very nicely. However, dedicated players can find another solid solution by mining flint from the many ore deposites scattered throughout the land. After placing the flint near a pile of wood, have Link strike the flint with a metallic weapon. From there, players can sit back and enjoy the campfire.